Andrew Pacinelli has the skills and experience to provide the latest dental treatments. A bridge is a restorative option for patients who are missing one or several teeth. A bridge is a link or connection between two permanent structures. A dental bridge is very similar in that it attaches the restorative teeth (bridge) to the natural teeth on either side of the space. This bridge acts as new teeth, closing the gap and making your smile like new again. Bridges can be constructed of metal or gold foundations with porcelain attached to the foundation. 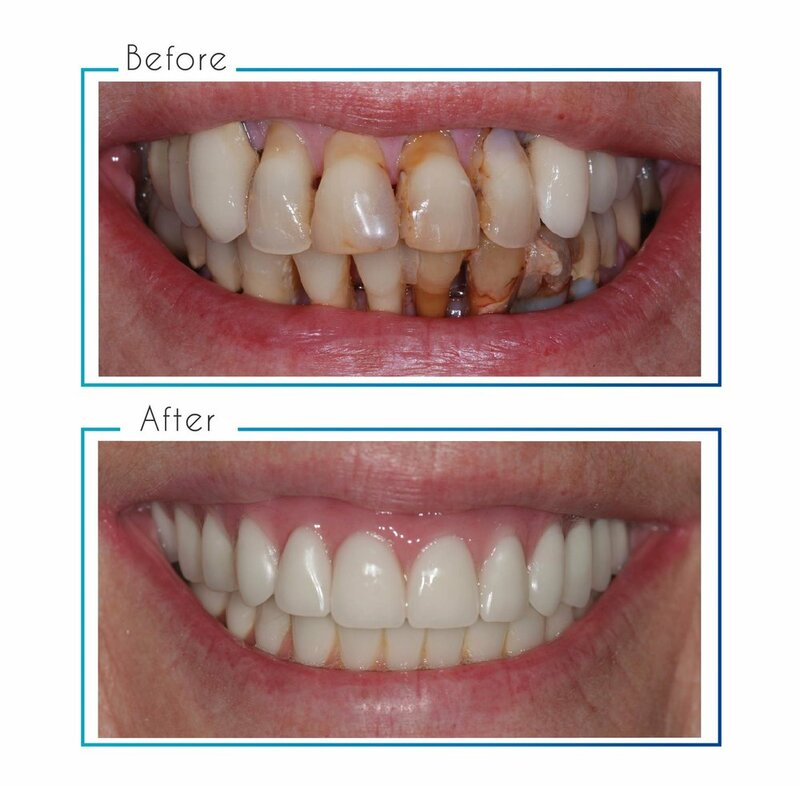 This restorative solution is bonded to the natural teeth, and cannot be removed by the patient. Crowns conceal or “cap” a tooth to repair its normal function and appearance. Crowns may be made from all ceramic/porcelain materials (no metal), porcelain fused to gold, or all gold. Dentures are prosthetic devices made to replace missing teeth; they’re supported by surrounding soft and hard tissues of the oral cavity. Conventional dentures are convenient, as you can remove them when necessary. However there are many different denture designs, some of which rely on bonding or clipping onto teeth (removable partial dentures) or dental implants (implant overdentures). 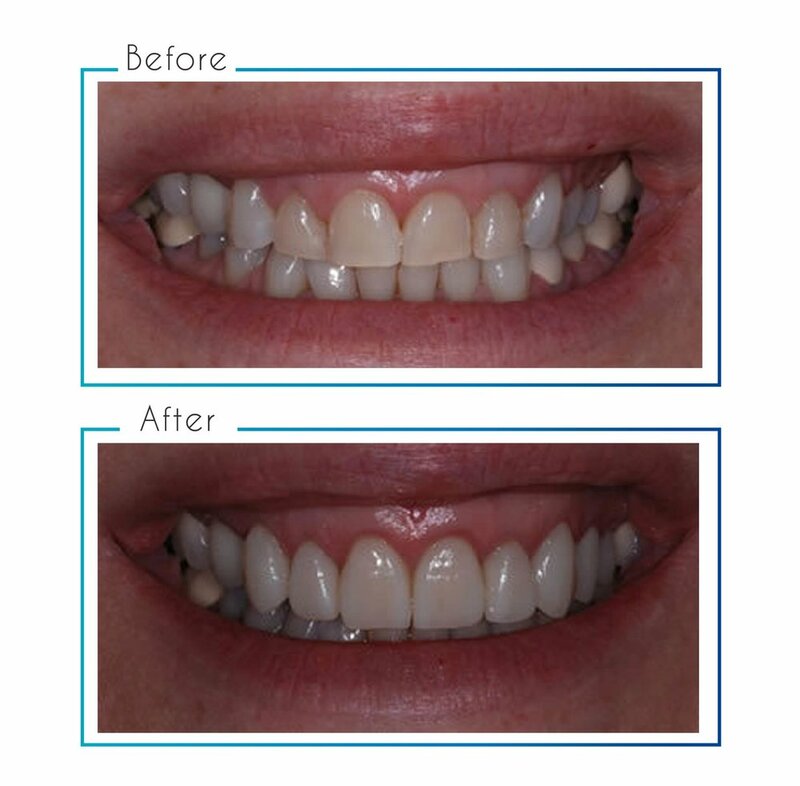 Porcelain veneers are used to modify the shape and color of teeth. 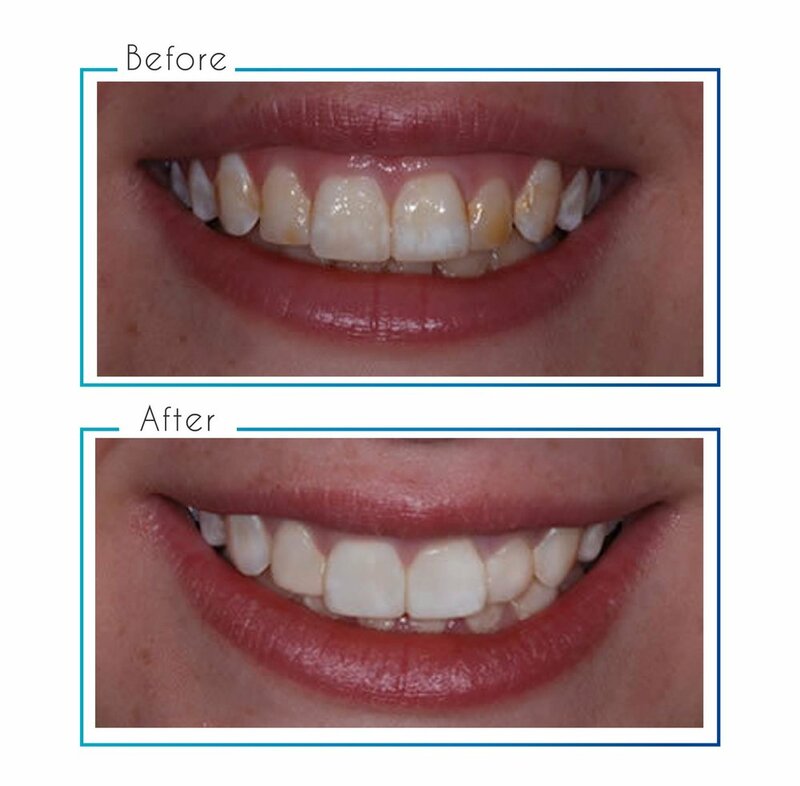 Veneers are thin shells of porcelain that are bonded to the front of the patient’s tooth to create a new smile. Porcelain veneers are placed over the front of teeth that appear too small or large, slightly discolored, chipped, are slightly crooked, or simply are not cosmetically-pleasing to the patient. Whitening your teeth is a very simple procedure that can be completed in a relatively short period of time. Over time, our teeth tend to become discolored or stained. Whether this is from smoking, coffee, or any other foods, a beautiful smile could be closer than you think. We offer both in-office and take-home whitening solutions to suit your needs.